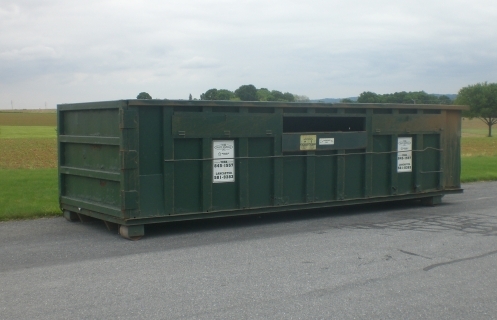 NOTE: THE DUMPSTER PROVIDED FOR CORRUGATED CARDBOARD HAS BEEN MOVED TO THE PARKING LOT IN FUHRMAN PARK. The corrugated cardboard dumpster located at our municipal office for recycling corrugated cardboard continues to be used by many Township residents. We remind you that this dumpster is for residential use only; meaning no businesses should be placing items in this container. We also remind you that only corrugated cardboard should be placed for recycling. No cereal boxes, cracker boxes, pizza boxes or other food type boxes should be placed in this recycling container. If in doubt whether your cardboard is considered to be corrugated or not, please stop in the office before placing the material into the receptacle.